My name is Jan Krohn. 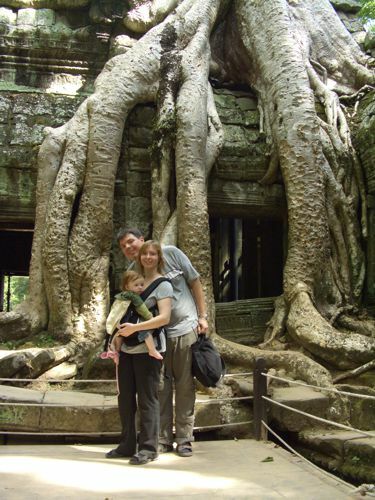 I live together with my wive Ramona (the most wonderful lady in the world), my little daughter Johanna and my newborn son Paul in Phnom Penh in the Kingdom of Cambodia. I was born in Cologne, so as a Rhinelander, I'm not a serious German, meaning, I have all the famous German virtues like punctuality and cleanliness way less developed than for example my Prussian wive, who originally comes from Berlin. I work as technical leader for Khalibre Co. Ltd., a Cambodian social business providing SAP and other IT solutions to non-profits as well as offshore outsourcing solutions for commercial entities. My areas of expertise as a SAP consultant include document management, material management, warehouse management, supply chain management, humam capital management and enterprise learning (SAP implementation, database programming, XSLT). Before that, I worked for a German consultancy in Aschaffenburg for seven years. I graduated in mathematics with economics at Aachen University of Technology (RWTH), and also spent a year at the University of York. My family and I love to travel, are interested in missions, and also like to meet people from many countries and places, to find out about other cultures, to try different food, and find new friends from different cultural backgrounds. We believe in Jesus Christ and in the Bible, and keep our lives focussed on Him. We've found our spiritual home in a Baptist Church in Aschaffenburg planted by American missionaries more than 20 years ago.